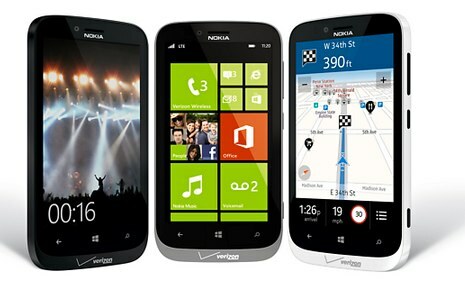 Ahead of Microsoft’s smartphone event later today, Nokia has announced the Nokia Lumia 822 Windows Phone 8 smartphone and Verizon Communications will sell the same. The phone has an 8 megapixel camera and 1.2 megapixel front-facing camera for video calls. It also supports wireless charging with an optional exchangeable shell casing. The ailing company’s CEO, Stephen Elop, sees Microsoft’s new Windows Phone 8 software as a chance to reverse that trend, describing it as a catalyst for the new models. Later today, Microsoft. is hosting a big launch event for the software at an arena in San Francisco. The first phones from Nokia, Samsung and HTC are expected to hit store shelves next month. Nokia Lumia 822 specs also includes turn-by-turn navigation and free unlimited music streaming from Nokia Music, which the company describes as a “completely” ad free music streaming app.